When you’ve got a Stoves cooker in your kitchen, you’ll want to get creative at mealtimes. Built to the highest specifications, each Stoves cooker is reliable and will get the job done no matter what’s on the menu. 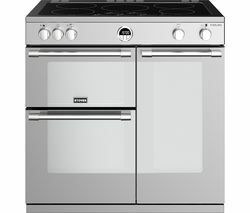 Cooking for a big family or a dinner party is easier if you have a Stoves cooker at your disposal. You can cook elaborate multi-course meals and delicate desserts and cakes that your guests will want the recipe for. Roast dinners will be a doddle and if the mood takes you, why not try knocking up a hearty stew that the whole family will love? Stoves cookers come in a variety of styles and finishes, including classic white, professional stainless steel, classy black and an elegant champagne that will give your kitchen the wow factor. Stoves cookers use the latest technology to ensure they use less energy to heat up, so they're better for the environment. 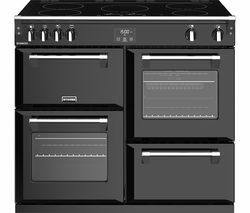 When you’re looking for an affordable cooker for your kitchen, check out the complete range of Belling cookers and if you’re looking for a reliable cooker that you can count on to do the job, take a look at our collection of Hotpoint cookers. If you’re looking for help when you’re getting creative in the kitchen, a Stoves cooker is ideal.